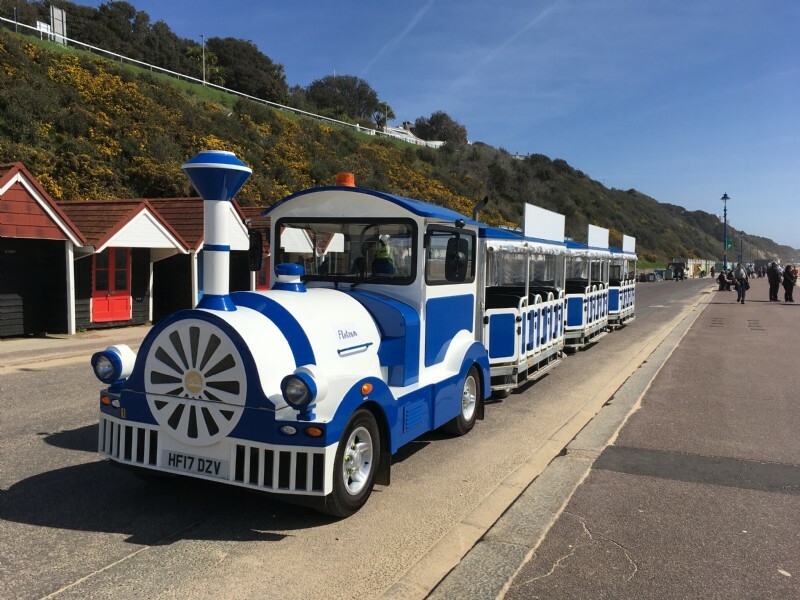 Bournemouth Borough Council have recently taken delivery of two eye catching new land trains from Severn Lamb in time for their busy summer season. 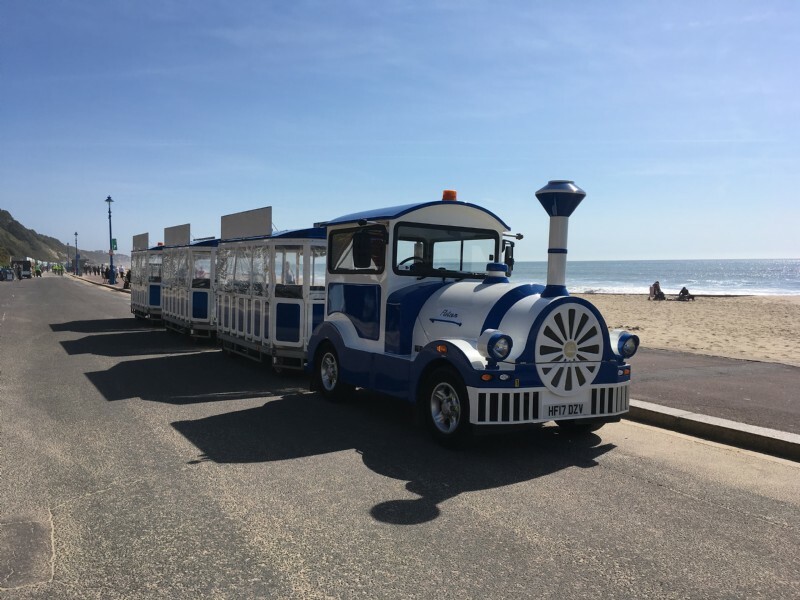 The council have been operating sight-seeing trains along the promenade at Bournemouth for a number of years and they are one of the towns most popular tourist attractions carrying approximately 150,000 passengers a year. 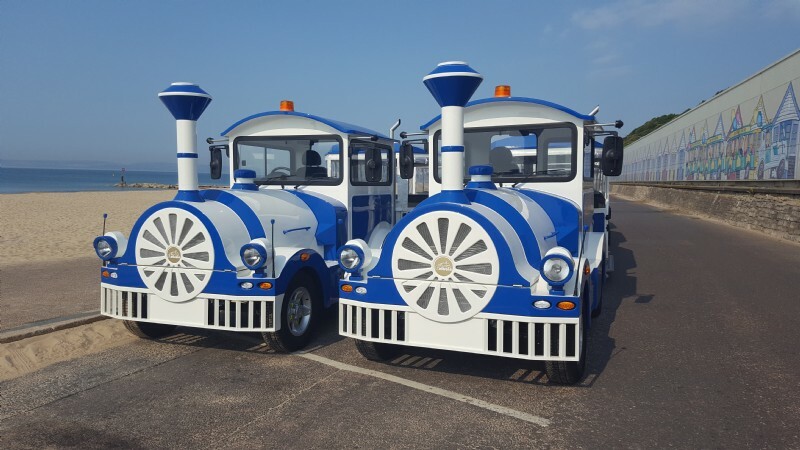 Bournemouth turned to Severn Lamb for assistance in replacing two of its ageing land train fleet and provided Severn Lamb with a detailed technical specification outlining a number of key requirements. These included the ability to negotiate some significant inclines and sharp corners along the twisty and undulating Boscombe Gardens land train route and the durability to be able to operate all year round in the harsh seafront environment where wind blown sand and saltwater make for potentially difficult conditions. Severn Lamb proposed their well proven SL Land Train which is currently in service across the world from Europe to Asia and South America. The SL Land Train is based on a rugged Land Rover 4x4 platform and is capable of transporting upto 60 seated passengers in spacious open or enclosed coaches. The SL Land Train is able to negotiate gradients of upto 15% and has a turning circle of just 12m making it highly manouverable. A range of options are available including in coach multimedia systems and panoramic glass roofs allowing you to completely customise your train. Another key requirement was for the land trains to be legal for use on the public highway and Severn Lamb were able to provide assistance in registering for a Vehicle Special Order with the Vehicle Certification Agency- the UK's Type Approval authority. Find out more about the SL Land Train by watching our demonstration video here.